When one sees the word “hops,” craft beer most likely comes top of mind. However, as the beer market experiences marginal growth and the bottled water market continues to flourish, Paul Tecker, founder of H2OPS LLC, Anaheim, Calif., saw an opportunity to combine the two, thereby creating something that the beverage market hadn’t seen before. H2OPS is an unsweetened, IPA-inspired, hop-flavored sparkling water, which contains no alcohol or calories in each 355-ml glass bottle. This week, our founder Paul Tecker was interviewed by Guy Raz on NPR's podcast "How I Built This". As a huge fan, Paul was genuinely honored to be invited to tell his story. Paul explained that for over 20 years, he's worked in the beverage while also brewing craft beer as a hobby. While working out of his kitchen, he experimented with different kinds of hops, especially the “aroma hops” that bring subtle grapefruit, citrus and pine flavors to craft brew. He started to wonder, “why do you need to have something alcoholic in order to enjoy the taste of hops?”—so he set out to create a sparkling water flavored with hops. He tested it out at a beer festival and got rave reviews, and is now selling his beverage, H2OPS, at a number of stores, bars and restaurants in Southern California. Listen to Paul's story of how he built H2OPS Hop Water in the latest episode of “How You Built That” http://n.pr/2n9fVvw. Paul Tecker caught up with Michael Woodward from the Beer Ambassadors on KUCI Radio today. Here is a clip of the interview where The Beer Ambassador tastes H2OPS. 2016 was a record setting year for the hop harvest for the Pacific Northwest. 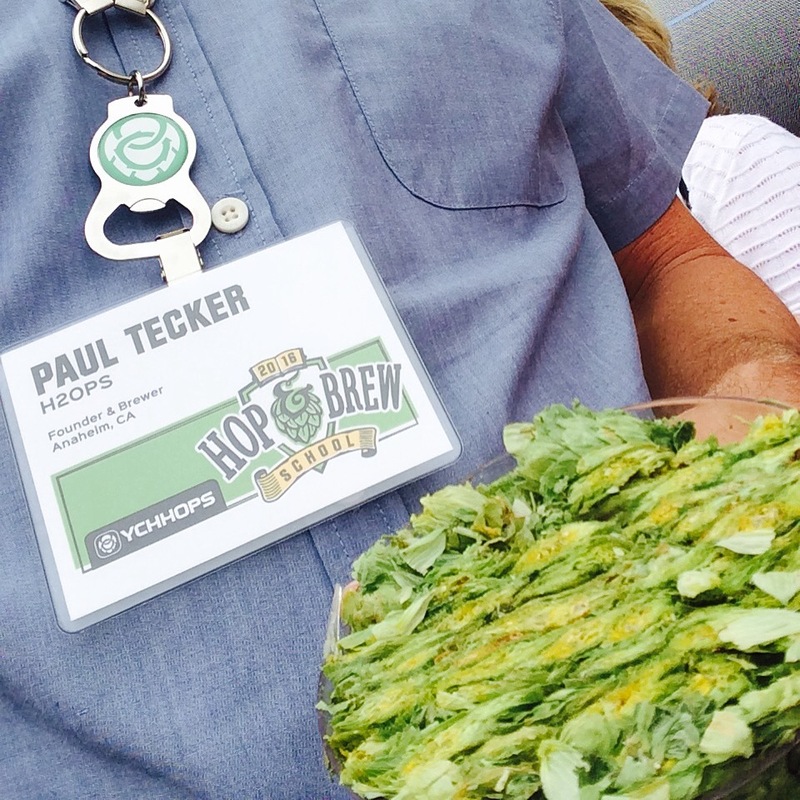 We visited the Yakima Valley during the harvest where we attended hop school and visited a number of hop farms. We were so impressed were blown away by the by the high quality of this year's yield. #bumpercrop #hops #craftbeer#hopharvest2016.